Instructions below are for Windows interface/old interface design. For cPanel users, please consult the documentation here. 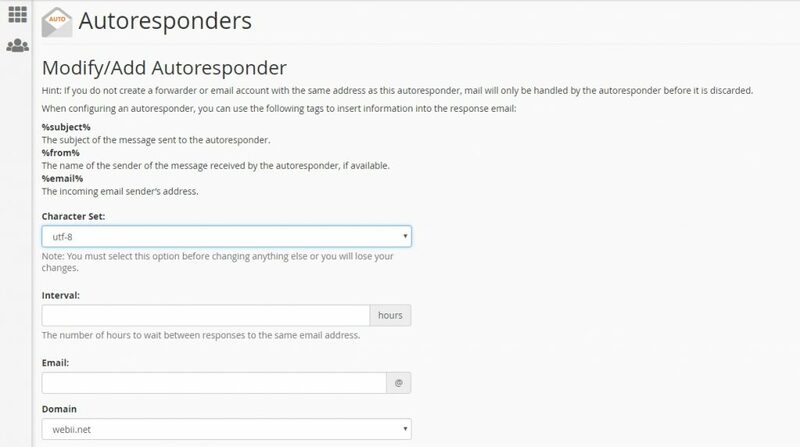 To setup an Autoresponder, go to the Autoresponder interface located under the EMAIL banner in cPanel. 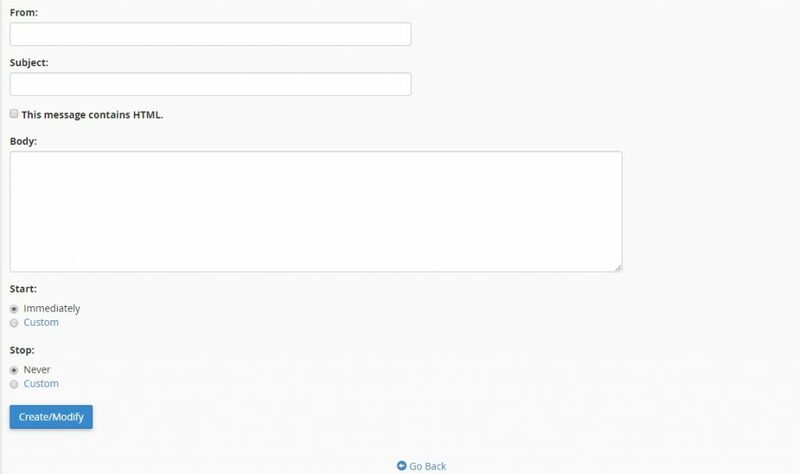 Once on this page, select the domain for which to add or edit an autoresponder from the Managing menu. You will then be given the choice to create a new autoresponder or edit an existing autoresponder. To create a new autoresponder, first, select a character set from the Character Set menu (it will default to utf-8). You will then enter the interval, in hours, for the autoresponder to wait between responses to the same email address. 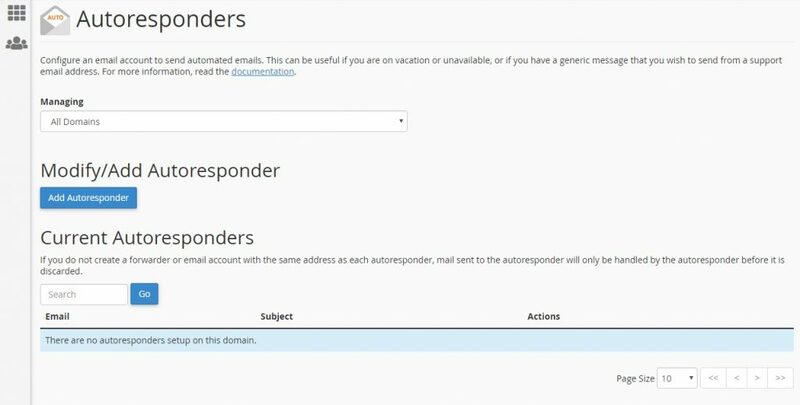 In the Email text box, enter the email address for which to respond, and then, in the From text box, enter the username to appear in the response. In the Subject text box, enter the subject to appear in the response. If the message includes HTML tags, select the HTML checkbox. In the Body text box, enter the text of the response. You can also use tags in the body of the message to represent information, such as the incoming email’s sender or subject. Tags use percentage signs (%) as markers , such as %subject% or %from%. You can then select a Start time and a Stop time. From now on, any customer sending an email question to this email address will automatically receive a reply with this text.